We celebrated Sukkot quite differently from our previous two holidays – Rosh Hashanah and Yom Kippur. For the new year we visited our homestay families – I went to services and ate tons of food prepared wonderfully by my host mother. For Yom Kippur, OTZMA provided a structured curriculum where we learned about how different aspects of Israeli society view atonement. We were free for a week to do whatever we wanted. Some OTZMAnikim bravely attempted the Yam el Yam (Sea to Sea) hike. Unfortunately both groups that tried didn’t succeed and had to head back early. The basic problem they encountered? You really need a guide to make sure you don’t go the wrong way. I hope to try it with some of them later this year – with some experience under their belts I think we’ll have better luck. I instead stayed in Ashkelon up until the last few days. 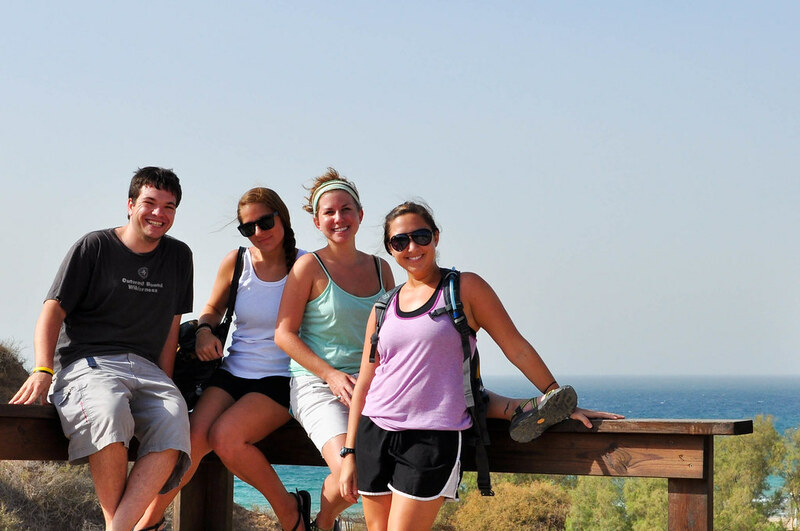 This gave Shauna, Sarah, Lauren Hyman and me a chance to explore Ashkelon National Park. 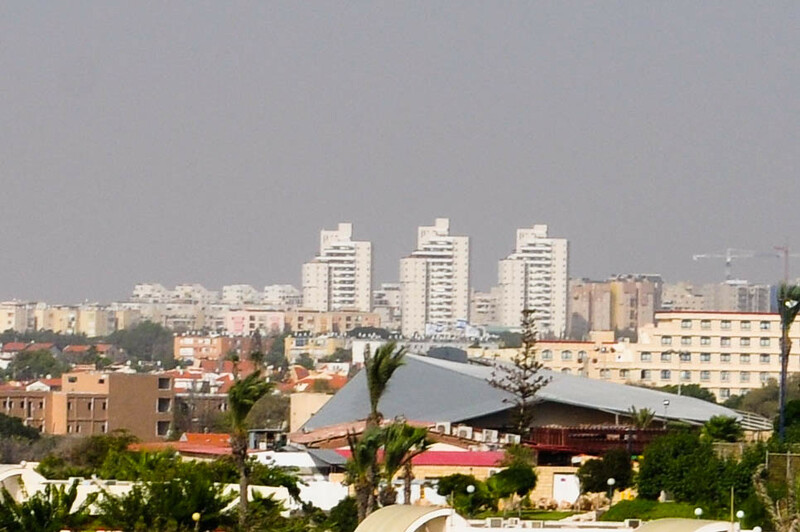 The park itself has great views of the ocean and the entire downtown of Ashkelon – we could even see our home Merkaz Klita Beit Canada. On Monday, ten of us traveled via a hired Sherut taxi down to the beautiful (and very crowded) beach city of Eilat – אילת. We spent most of our time doing the traditional college spring break experience. A lot of staying out till the morning and waking up in the afternoon. We ate some great food, had a couple drinks, smoked hookah, danced at clubs and enjoyed some fantastic sunsets. Overall, it was just a good time. Or as my friends have said, “Eilat of fun” — corny as all hell, but it’s true. What makes the trip remarkable, besides the fact that I got to go snorkeling and finally have a bit of a tan, is that our experience is… well… normal. Many Israelis choose to spend their holidays just having fun. Not praying or going to services, but enjoying the ceaseless Israeli sunshine at the beach. That’s not to say that there aren’t many religious people in Israel. On previous holidays we explored this theme in depth. However, this time we got to see what the secular members of society do in their free time. And that’s exactly what it is: free time. These religious holidays are, to many Israelis, simply time off from work, school, the army, and responsibilities those positions entail. We stayed at the very Israeli-family oriented Rimonim ((Rimonim: רמונימ, pomegranates)) Hotel. Most of the guests were Israelis, playing tourist in their own country. And the hotel was certainly made for them. I can honestly say, this was the first time I’ve woken up to a DJ’s techno music at a hotel pool. It was certainly gave us a unique look into the lives of what happens everyday in Israel and how many people choose to celebrate special occasions here.